Indonesia is a lower middle-income country, ranked 22 out of 76 countries in the 2014 Global Hunger Index. The country halved the percentage of its population living in extreme poverty and hunger by 2015, meeting the first Millennium Development Goal. The UN Food and Agriculture Organization projects that undernourishment will decline to 7.6 percent between 2014 and 2016, down from 19.7 percent between 1990 and 1992. Though indicators of economic growth, life expectancy and education are positive, malnutrition and stunting is still widespread. Stunting affects 29 percent of children under age five and is prevalent among all income groups; the prevalence of overweight and obesity among adults has increased for all income groups. In 2015, 58 of 398 rural districts were found highly vulnerable to food insecurity. However, overall food security improved between 2009 and 2015. This progress may stagnate if the challenges of food access, malnutrition and vulnerability to climate-related risks are not addressed. 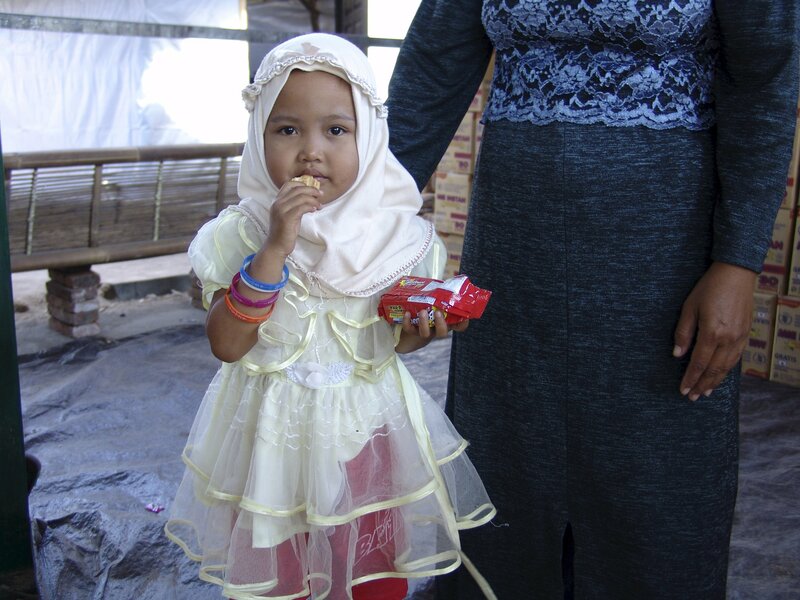 WFP has worked in Indonesia since 1964. The UN agency left the country in 1996 but was invited to return in 1998 to respond to the Asian financial crisis and drought exacerbated by El Niño. Food security analysis: WFP supports the Government in collecting and analyzing food security and nutrition data for optimum policies and programs. An evidence-based approach would prioritize the most vulnerable people and regions around a reduction of severe food insecurity by 1 percent per year. Nutrition: WFP promotes balanced diets to address undernutrition and overweight, while also working with the Government to improve the efficiency and nutritional impact of national social protection programs. Disaster preparedness: WFP is working with the Government to enhance Indonesia’s emergency logistics capacity through the establishment of an integrated network of logistics hubs with the hope that the country can respond in a timely and coordinated manner to disasters.